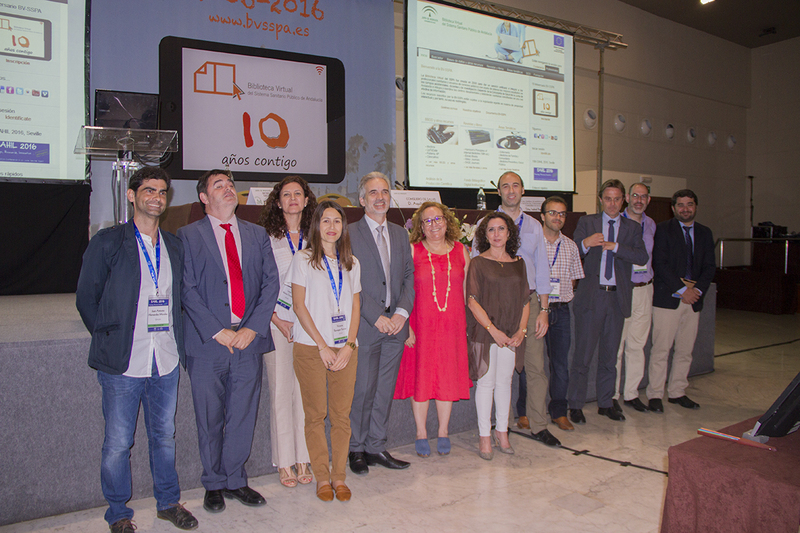 The Andalusian Health e-Library, Winner of the EPSA 2013 Honourable Mention for cross-administrative cooperation, is celebrating its 10th Anniversary. 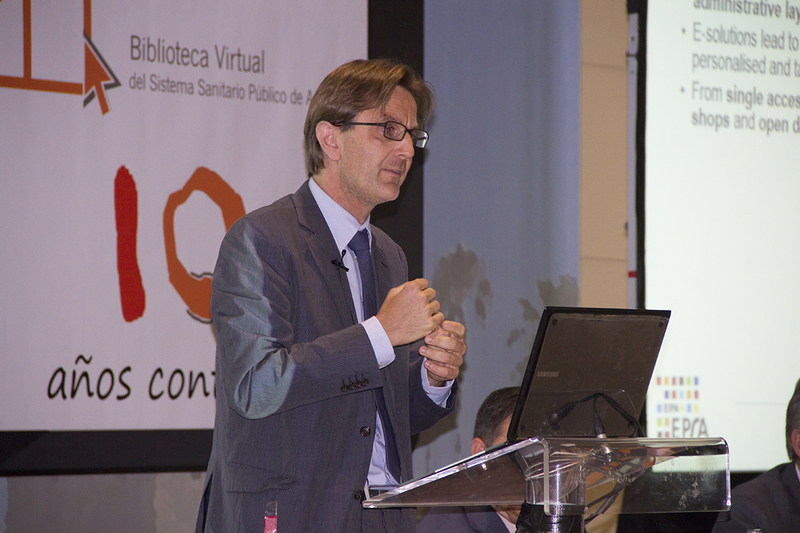 On that occasion, Alexander Heichlinger, EIPA expert and EPSA Manager in 2009, 2011 and 2013, delivered a keynote speech about the Virtual Library as a Powerful Knowledge Manager of Health in Europe. The virtual Andalusian health library is currently the biggest electronic health science resource database in Spain and a powerful knowledge sharing platform. The programme is precisely designed to be at the service of the real need of health professionals in the field. It is an excellent example of cross-administrative thinking and partnership serving as a centre for information and scientific documentation for 41 hospitals, 1500 primary care centres and 28 centres for non-medical purposes. Group picture taken during the 10th anniversary ceremony. Alexander Heichlinger, EIPA's expert and EPSA Manager 2009, 2011 and 2013.